While expert building skills are certainly important when deciding on which local building contractors to hire, the best company is one that offers caring customer service at the same time. This is one of the many reasons that Cypress Custom Homes LLC has become so successful in the building industry. Their designers incorporate energy-efficient products and unique layouts. Their motto: “standing tall for a stronger tomorrow” not only applies to their architectural masterpieces but to the relationships they form with each of their customers. 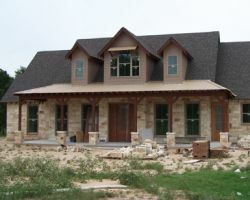 The team of craftsmen at Isaacson Signature Homes is made up of some of the only Cypress custom home builders that truly care about their client’s needs and style. They have a higher-level quality of craftsmanship that has been proven time and time again through their awards and past projects. Not only is the work better but their personal care for their clients means you will be involved in the building process and shown every detail as your home comes together into a completed masterpiece. The beauty of the properties built by Saratoga Homes cannot really be described. Seeing the homes they have made and the use of the land they have developed is the only way to understand their incredible building skills and design visions. 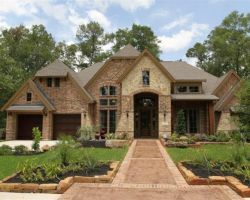 It is easy to see the work of these home builders in Cypress, TX by traveling to one of their development sites. You can contact the company directly to have their experts talk you through all of the options that are open to you and your family for your future dream home. Before Grand View Builders was founded, there was a hole in the market for a company that offered affordable advice and prices for a custom built architecturally beautiful home. 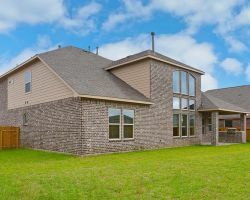 Marc Jungers, the owner of Grand View Builders, focused the company on offering to clients throughout Texas the opportunity to have their home built for much less than they imagined. With a professional approach, this talented luxury home builder has become the number one choice for anyone who needs a builder in Cypress. Being able to bring an ideal family home to life is why this residential building company does what it does. 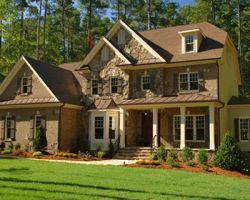 Crestwood Homes & Construction is family owned and operated so they understand exactly what decisions their clients want to be involved in and how they should be kept informed throughout the building process. April and John Peart, the owners and designers of the company, take time to discuss their client’s needs to ensure their property is exactly as they imagined. The reviews of this company prove that they achieve their goals every time.